Pope County Museum A-Z is back by popular demand! This time I will focus on the museum as a whole rather than the Helbing Collection. As collection manager, I work primarily with the three dimensional objects in the collection – and we have some great items, but the REAL crown jewel of the museum is the archives. 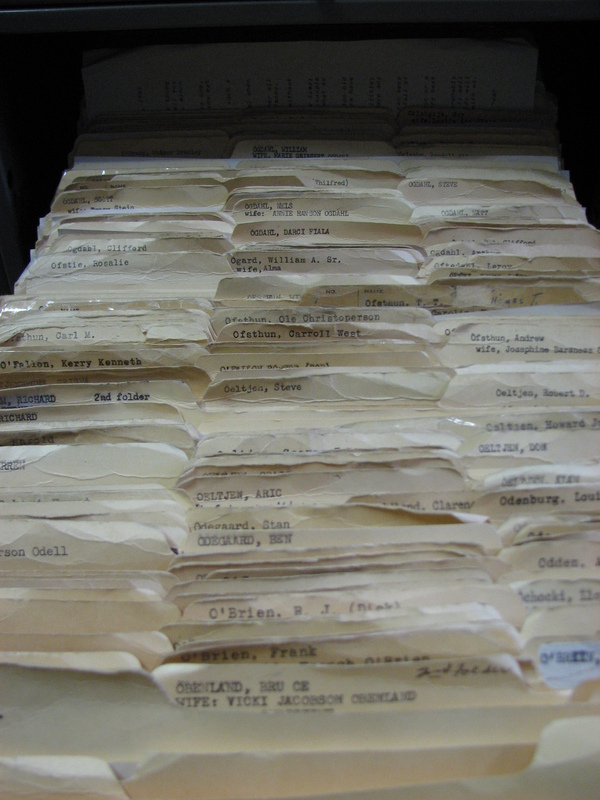 The Pope County Historical Society maintains over 80 thousand files on individuals, businesses, churches and other organizations. Every week, articles from our local newspapers are clipped, copied and added to the files. This clipping process started in the 1930s. At that time, all the older newspapers were bound and carefully reviewed. Obituaries were re-typed and added to the relevant files. All other articles were noted on file cards so anyone interested in a particular person or business in the county that existed before 1930 can look through the reference cards and then find the correct bound edition of the newspapers to read the article. Museum staff adding clippings to the files. When the Historical Society was formed in the 1930s, besides creating the files, volunteers worked to gather the stories of the pioneers before the original settlers passed away. The files now contain an extensive collection of life stories gathered from the pioneers themselves. These archives are a treasure trove for anyone interested in family history . From pioneer biographies to stories from last week’s newspaper, you can find all about your Pope County family here in the files. 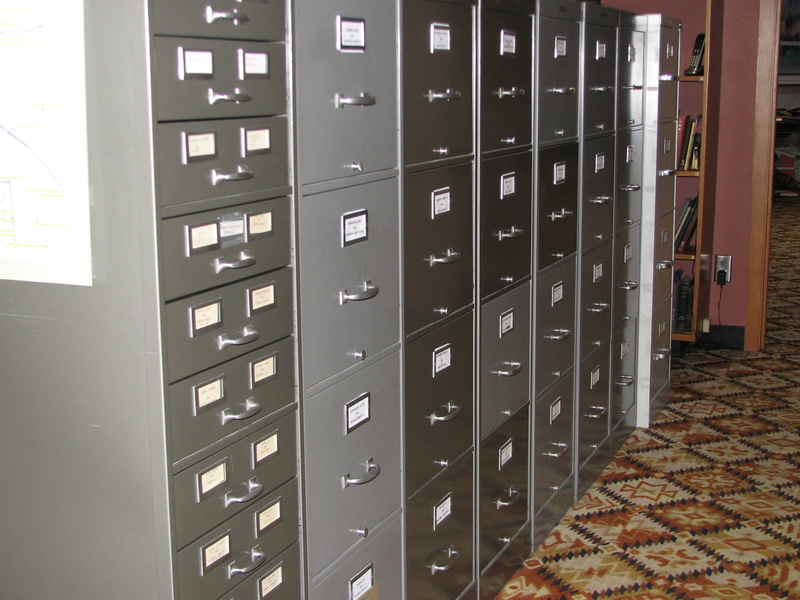 Families often add photographs, holiday letters or documents to their own files. We encourage people to leave information here for future family historians to discover. 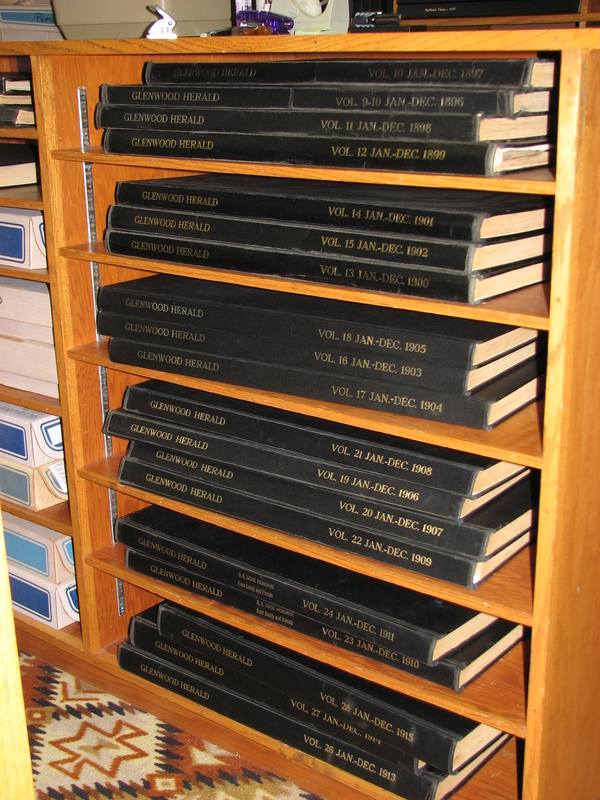 In addition to the files, researchers can find cemetery records, plat maps, school census reports, yearbooks, census records, tax records, town histories and maps. The tax records are particularly interesting as people were taxed on what they owned. For example, the assessor would record how many cows a person had and whether or not he owned a clock or sewing machine. It is possible to trace the financial condition of your ancestors through the years. This entry was posted in Collection Notes, Museum updates and tagged A-Z, Archives, Business files, Family History, Personal Files, Pope County, Pope County Historical Society, Pope County History, Pope County Museum. Bookmark the permalink.